Ryota Komatsu was born in Tokyo in 1973 and he will celebrate 20th anniversary of his musical carrier in 2018. 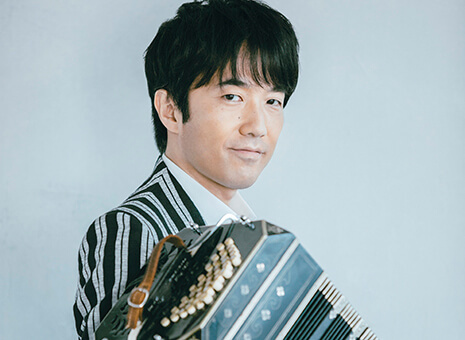 Soon after he made his debut middle in his teenage, Ryota backed Japan’s legendary tango singer Ranko Fujisawa solo at her last concert in 1991. Tango maestros who gave big influence to Ryota’s artistic backbone also put strong faith in him, and he has performed with giants such as Leopoldo Federico, Victor Lavallen, Amelita Baltar, Osvaldo Berlingeri, and Astor Piazzolla Quinteto. Ryota has recorded more than 20 albums. “Live in Tokyo – 2002” was highly acknowledged in Argentina and received the honor awards in 2003 from Association Argentina de Interpretes (AADI) and Sociedad Argentina de Musicos. “Tint” co-produced with Taeko Onuki, a distinguished singer and songwriter, received “Excellent Album Award” from the 57th Annual Japan Record Awards. Ryota’s works extend beyond tango. The list of artists he has co-performed outside tango scene includes I Musici, Michel Legrand, Milva, Orpheus Chamber Orchestra, Jake Shimabukuro, the Brodsky Quartet, and more. Ryota is also active in writing music. He composed TV program pieces for Japanese nation-wide broadcasters as well as soundtracks for Japanese movies. He not only pursues the great artistic heights but also devotes himself to coaching a new generation of bandoneon players home and abroad. 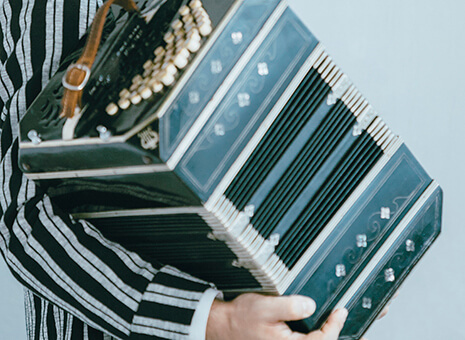 He has been directing Tokyo Bandoneon Club, the world’s biggest amateur bandoneon circle, since 1994. Copyright © Ryota Komatsu all rights reserved.